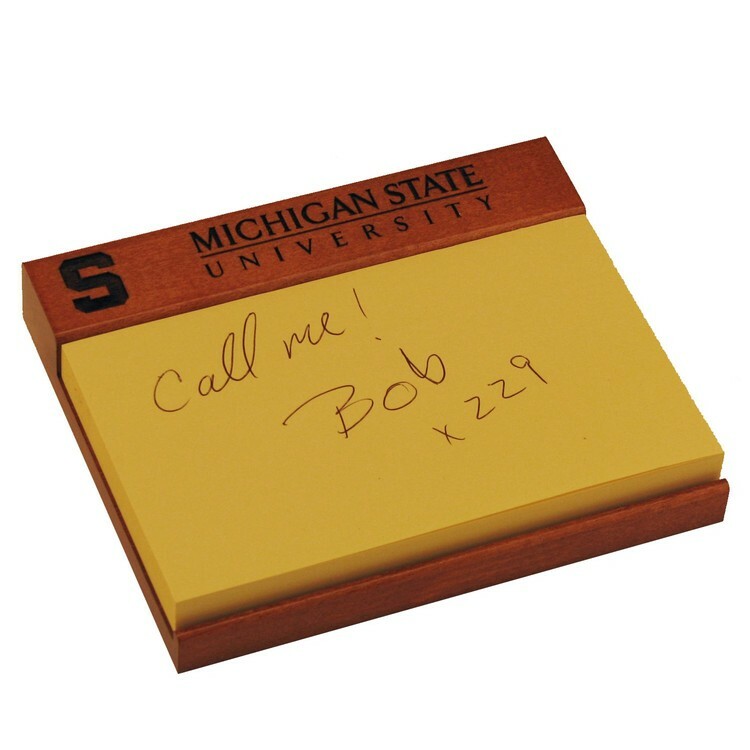 The solid wood note holder base will make sure all of your customers are reminded of you daily. The added detail of the retaining lip on the bottom edge keeps the pad in place for easy use. Included are 100 sheets of 5" x 3" self-stick notes. Four felt feet on the bottom protect delicate surfaces. 5" x 4 1/2" x 1"
Price includes a one position laser engraving, note paper and gift box. Laser Area: 4" x 5/8"